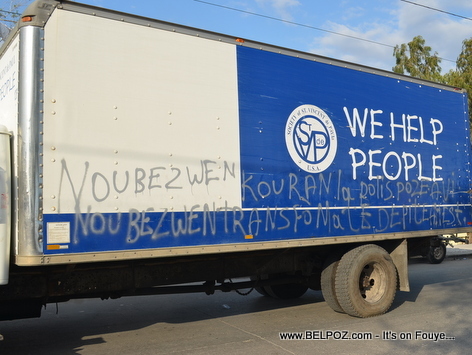 "Nou bezwen kouran, La polis poze!" Jah love. I am glad that folks wrote what they needed in reply to the text on the truck. I sure and pray that their is a good response to their needs and cries for help. We should have an 800 number or a huge wall in every area of Ayiti where people can call or write their needs.